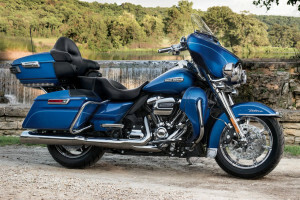 The Harley-Davidson® Electra Glide® Ultra Classic® is part of the Harley-Davidson® Touring lineup, and it’s packed with smart touring features, and throwback styling details that are sure to turn heads. 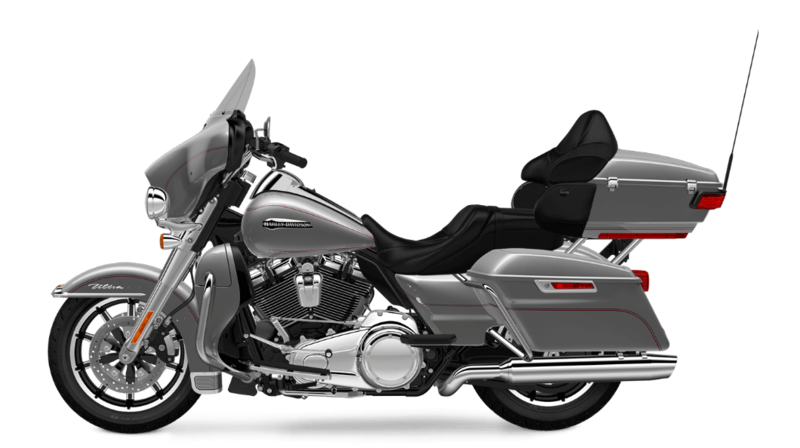 New for 2017 is a more powerful Milwaukee-Eight™ 107 v-twin engine that provides more performance. It’s a perfect package for the discerning tourist here in the Los Angeles area. The Electra Glide® Ultra Classic is the product of mile after mile of research into developing the perfect combination of long-haul comfort and control. All-New Milwaukee-Eight™ 107: The new Milwaukee-Eight™ is the classic Harley-Davidson® v-twin evolved. It’s upgraded in almost every way in order to provide more power and more fuel economy, a smoother, cooler ride, and a purer exhaust note. 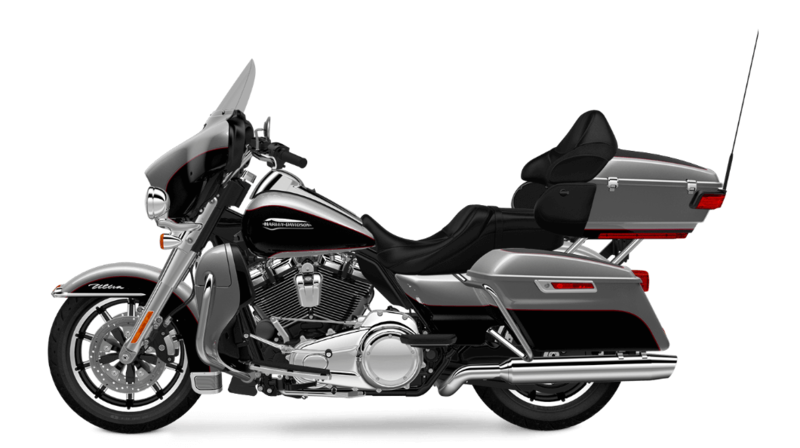 Milwaukee-Eight™ Overview: To upgrade the V-Twin Harley-Davidson® dialed up the displacement and the compression ratio. That helps the Milwaukee-Eight™ deliver more power with less gas. To make it run smoother and cooler the exhaust and cooling systems got an upgrade, and the engine includes a counter-balancer and rubber mounting. It even offers more charging power. 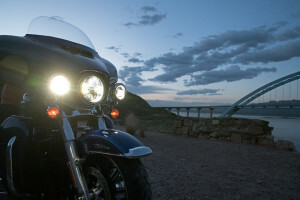 Project RUSHMORE: Innovations such as brighter brake lights and turn signals, stiff front forks, Daymaker™ LED headlamps and fog lamps, and Reflex™ Linked Brakes with ABS are all features developed through Project RUSHMORE to improve your ride quality and visibility. Steering Head and Forks: You don’t want a wiggly front end when you’re coming down the mountains with a full load of touring gear. The 49 mm front forks deliver more confidence and more control than ever before. Ergonomically Designed Hand Controls: With features like cruise control and infotainment functions right on the handgrips, these ergonomic hand controls give you everything you need right where you need it. 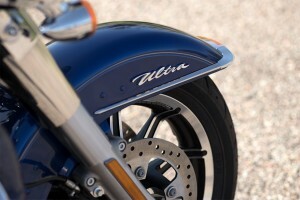 Reflex Linked Brakes with ABS: Linked antilock brakes help you slow down in a hurry when you need to. Antilock brakes help eliminate wheel lockup on slippery roads, making you safer. Adjustable Suspension: Set up the suspension so it’s the perfect level of firmness for your ride. It’s easy to adjust on the fly so you can have the perfect ride with a passenger, or without. Daymaker™ LED Headlamp and LED Fog Lamp: 2,136 powerful, daylight-simulating lumens deliver 450 feet of punch and a 160 foot spread, so you know you’ll be able to navigate the darkest roads. Brembo® Brakes: Brembo® is one of the most trusted names in braking. With two brake rotors and calipers up front, and one out back, you’ve got the power to slow down when you need to. 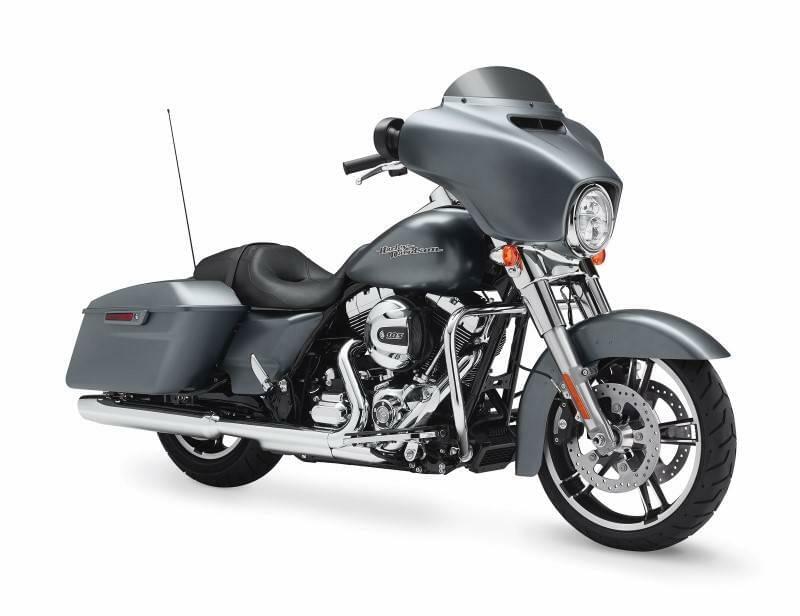 H-D® Smart Security System: The Electra Glide® Ultra Classic comes standard with the factory installed H-D® Smart Security system that automatically activates when you step away with the wireless keyfob in your pocket, and deactivates when you return. 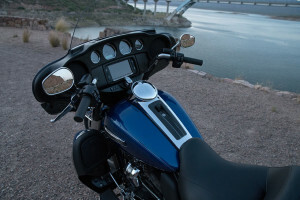 Six-Speed Cruise Drive® Transmission: Six gears and all the control you need over the v-twin, is what you get with the Cruise Drive®. It lets you slip into a low rpm cruising gear, so you can relax. Dunlop® Multi-Tread™ Tires: Multiple treads mean superior performance, because you get durable, longwearing rubber in the middle, and soft, grippy rubber at the edges. 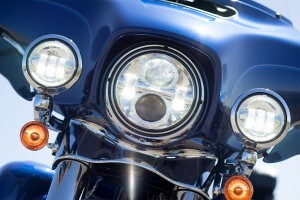 LED Tour-Pak® Lighting: Bright, eye-catching LED lights mounted on the saddlebags make you even more visible to other road users. We know you want your bike to look good, and the Electra Glide® Ultra Classic delivers. 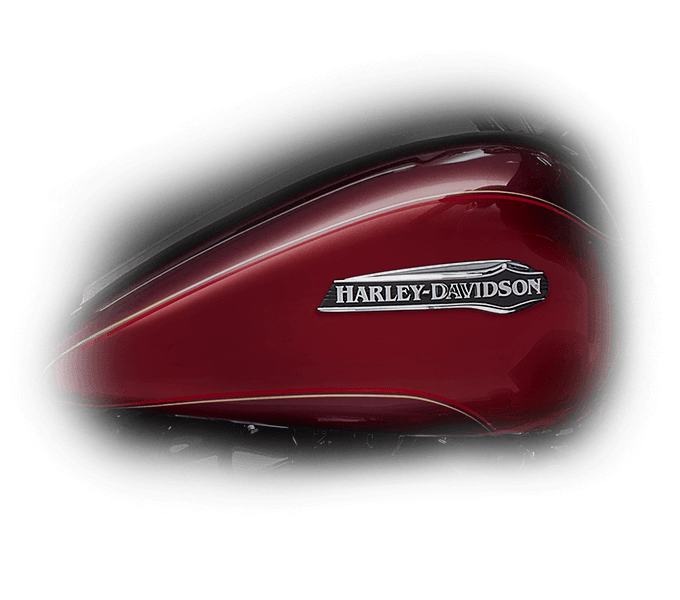 Pure Harley-Davidson® Style: The new Milwaukee-Eight™ looks great, with brilliant chrome finishes, and black powder coated cylinders. 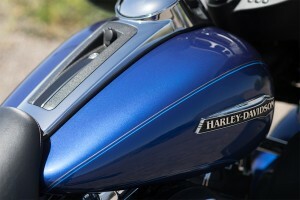 Custom badges sets off the air filter cover, and a big, bold racing scoop style air cleaner looks the part. Bullet Turn Signals: With these classy bullet chrome turn signals, you get an iconic look, and thoroughly modern performance. 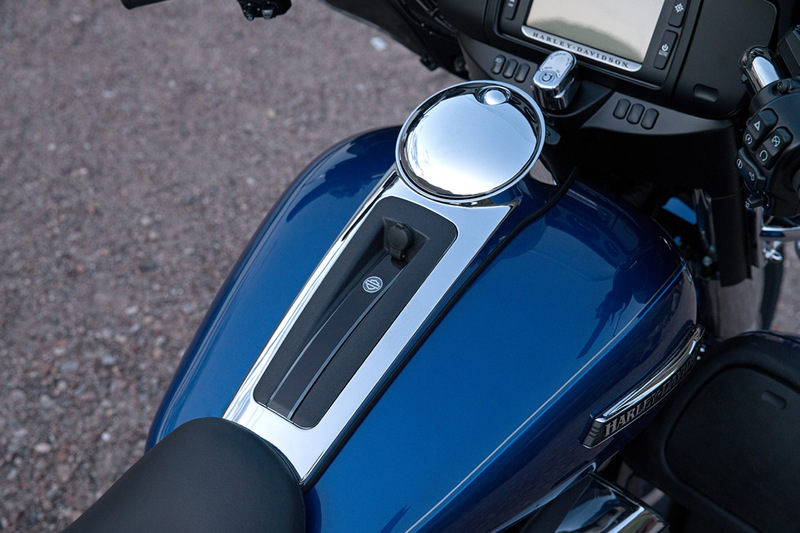 Inner Fairing Design: The inner fairing gives you easy access to your infotainment system and gauges, and all of it’s framed in gloss black so you can focus on what’s important. 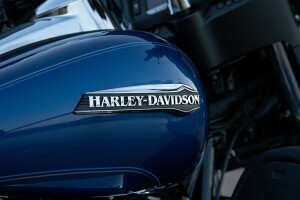 Restyled Fairing and Fender: The batwing fairing and wrap around fenders are iconic shapes that indicate that this is a world class touring bike. They also make the ride easier by blocking the wind and rain. 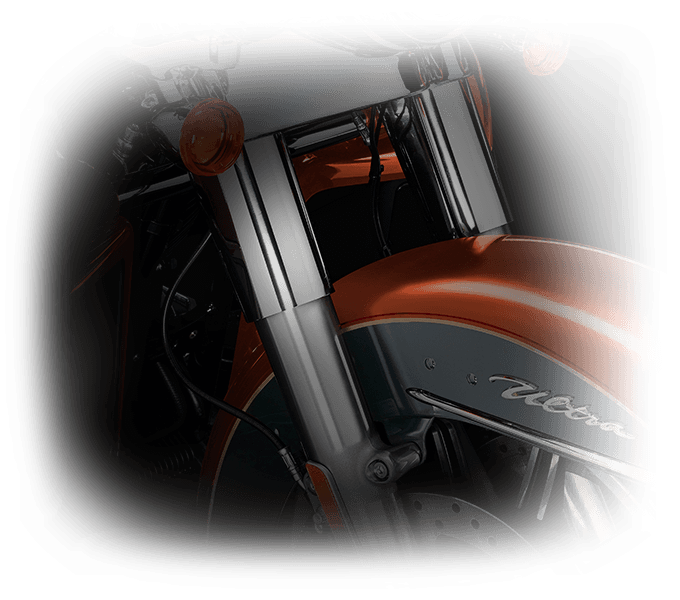 Classic Fuel Tank: This big, classic six-gallon tank offers plenty of range, and plenty of real estate to show off your premium paint. 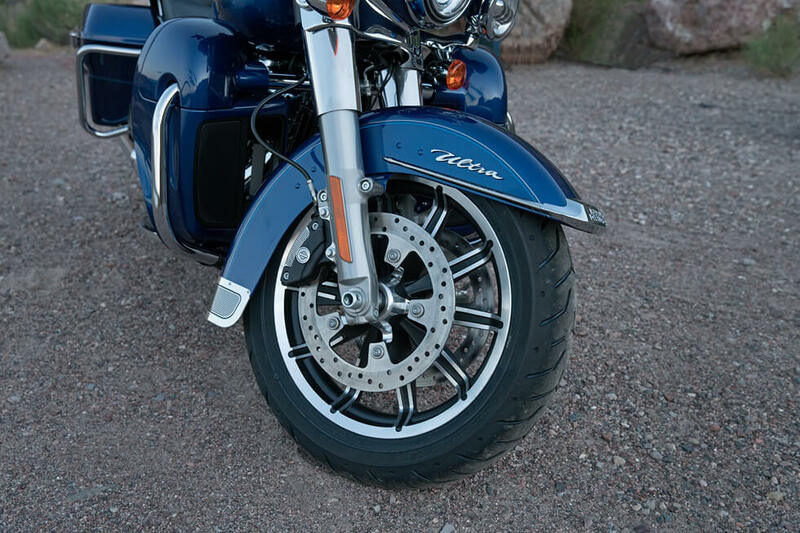 Impeller® Wheels: These classy cast aluminum 17-inch front and 16-inch rear wheels are both stylish, and functional. With lightweight alloy they spin up fast, and offer a confident platform for your adventures. Tank and Fender Badges: These big, bold tank badges, leave no question that you’re riding in on a Harley-Davidson®. The Electra Glide® delivers the latest tin infotainment technology so you can stay connected out there on the road. Project Rushmore Infotainment: From smartphone integration, to entertainment options, to navigation, the latest infotainment system offered by Harley-Davidson® does it all. Jukebox With USB Port: It’s easy to plug in your smartphone or any other device in order to send music to the radio and push charge into your accessories. The Boom!™ Box 4.3 Radio: This radio cranks out 25 watts per channel at 1% distortion, so you get beautiful sound; and with automatic speed sensitive volume adjustment, it automatically adapts for any situation. 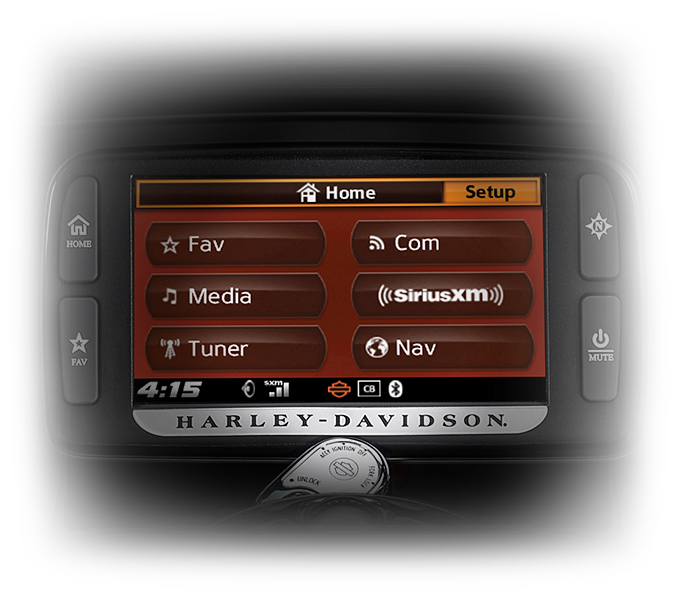 Larger Buttons: Harley-Davidson® knows its audience, and that’s why this infotainment system comes with big glove friendly buttons. 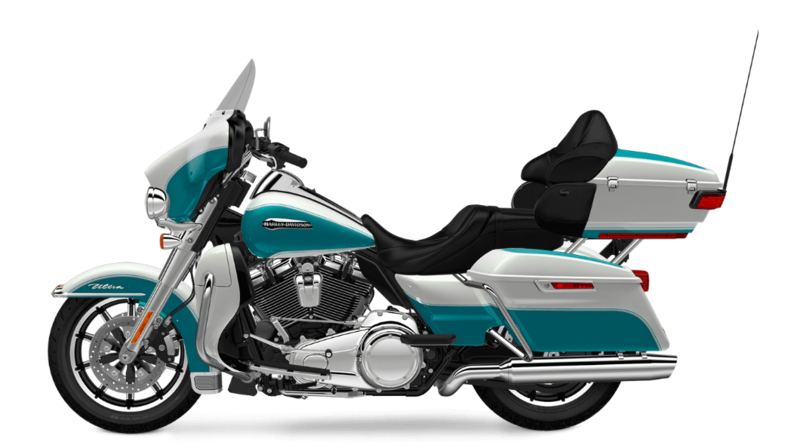 Upgrade Options: The Electra Glide® Ultra Classic is offered with an optional handsfree voice operated infotainment system, a larger 6.5-inch touchscreen display, satellite radio, GPS maps, and more. 5.25-inch Speakers: These large speakers are mounted conveniently in the front fairing, in secure cages, so you’ve got your soundtrack wherever you ride. 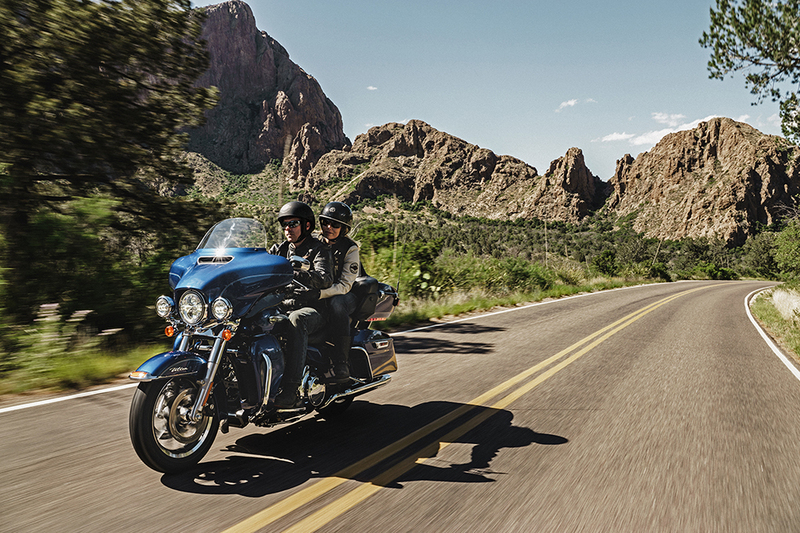 Nothing beats the premium feeling of the newest Electra Glide® Ultra Classic. Full Length Floor Boards and Heel/Toe Gear Shifts: Full length boards and height adjustable rider foot rests deliver plenty of options to keep you comfortable, and the rubber isolation reduces road vibration. Battery Charging Harness: Every Harley-Davidson® touring bike comes installed from the factory with a battery charging harness so you don’t have to install this feature yourself. 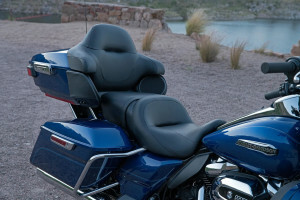 Two Up Electra Glide® Seat: This unique seat delivers both style and comfort for two passengers, with a deep bucket, a narrow neck, and a comfortable back rest for the rear passenger. One Touch Fuel Door: The fuel filler door opens quickly with a single touch. Saddlebag Design: With these sleek hardshell panniers, you’ve got a waterproof, secure, locking place to stow your gear. 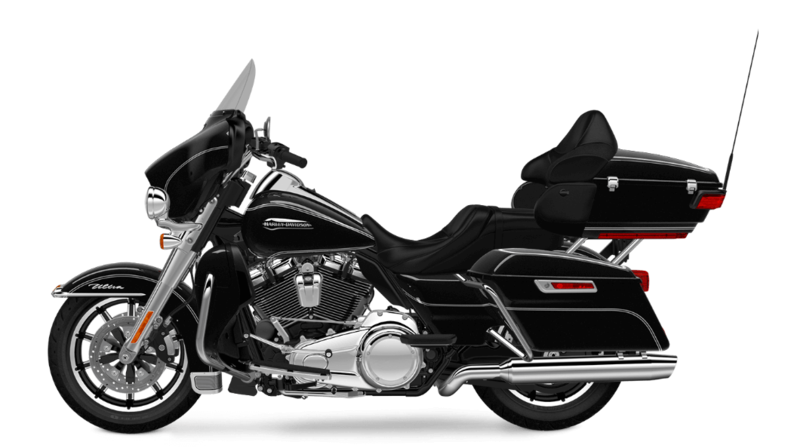 One-Touch Design Philosophy: Harley-Davidson® designed most features on this bike to operate without complication, using only a single touch. High Output Accessory Connector: It’s easy to add features like heated grips or seat, or anything else you can come up with, thanks to the integrated high output accessory connector. Standard Cruise Control: It’s easy to cover ground when you click on the cruise control, which comes standard. Handlebar Position and Reduced Diameter Grips: With a generous sweep, these handgrips end up closer to your body. The reduced diameter of the grips helps those with smaller hands reach the controls more easily. Reduced Width Housing and Derby Cover: With a lower width on the housing and the derby cover, the version of the Electra Glide® Ultra Classic makes it even easier for smaller riders to get their feet flat on the ground when stopped. 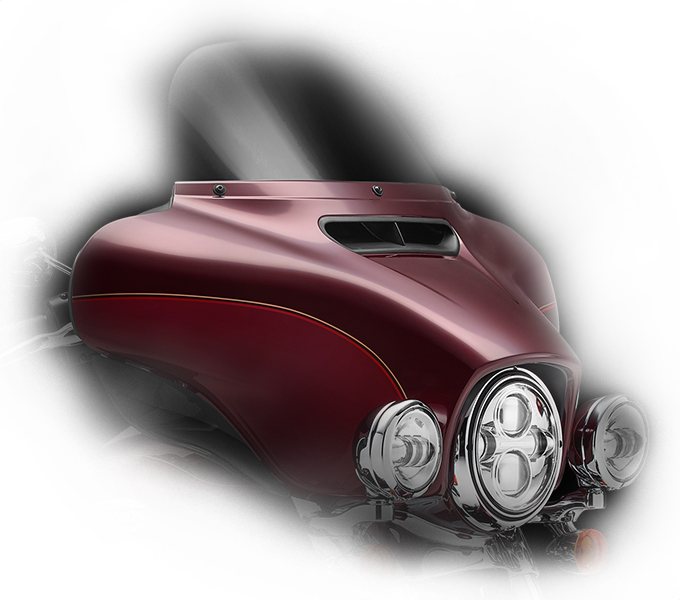 Fairing Design: Thanks to advanced aerodynamic research, the Electra Glide® Ultra Classic offers a fairing that helps reduce head buffeting, for lower fatigue. Back and Arm Rests: For the rear passenger on the Electra Glide®&Ultra Classic, there are comfortable back and arm rests, plus easy to access controls. Passenger Seat Space and Leg Room: You’ve got more space for your rear passenger, with added seat and leg room. The pillion is wider and longer, and there’s more room between the speakers. 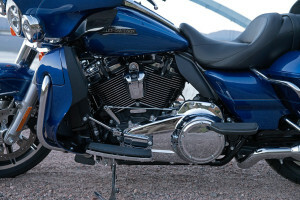 Even the saddlebag guards are tweaked to provide more legroom. Fairing Lowers: Wind tunnel tested fairing lowers protect your legs from wind and road debris. Assist and Slip Hydraulic Clutch: This smart clutch requires less effort to activate, which can help you keep fresh in stop and go traffic. 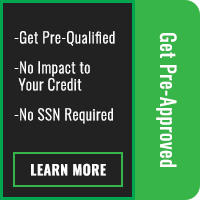 It also just makes it easier to shift through the gears for smoother power delivery. Tour-Pak® Carrier Design: The rear trunk box offers enough space to stash two whole full-face helmets securely.